Showcasing 100% polyester Durafast construction the Solid Racer Suit is 100% chlorine proof for 72 hours of exposure. Designed for competition at every level, this swimsuit lasts 20 times longer than traditional swimwear and provides 100% colorfastness and unsurpassed sun resistance. A perfect choice for competitive use and training, Durafast never fades and TYR 4-Way Stretch Technology never loses its stretch. 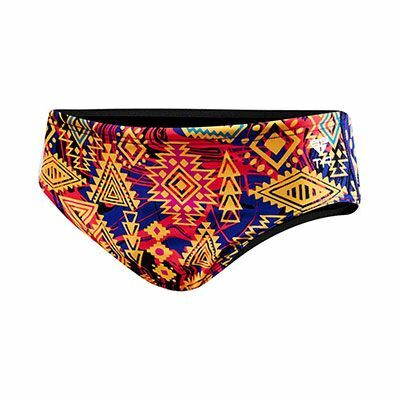 TYR Racer swimsuits feature a fitted brief style, comfortable support and adjustable waist. They are the perfect swimsuits for athletes who want minimal coverage that provides support but won’t weigh them down.